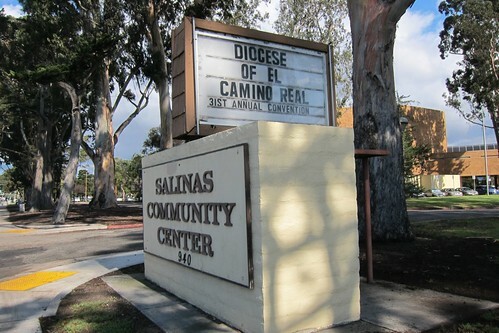 Today is the second day of the annual convention of the Diocese of El Camino Real, in Salinas California. We are honored to host two guest Bishops, the Right Reverend Sadock Makaya (Diocese of Western Tanganyika) and the Rt. Rev. Michael Perham (Diocese of Gloucester). Our own Bishop Mary Gray-Reeves has been exchanging visits with Bishops Sadock and Michael in their home lands in Africa and Europe. This is a continuing process of Indaba, talking things through slowly and building relationships with a focus on respect. The bishops’ visit is part a remarkably successful long-term communication between very different areas of the world and of the Anglican Communion. 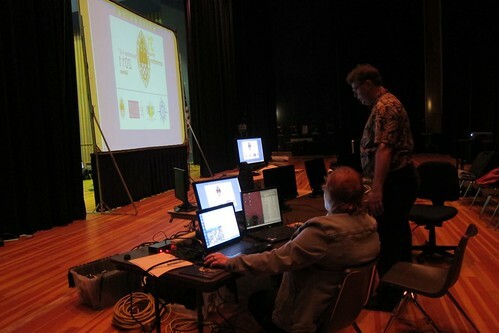 My husband John Plocher is sitting in Geek Central, hidden behind the big screen at the front of the hall, as a member of the technical team lead by Rev. Stephenie Cooper. When I am not being a technical roadie, I am sitting at the table with the delegates from the parish of St. Andrew’s (Saratoga). 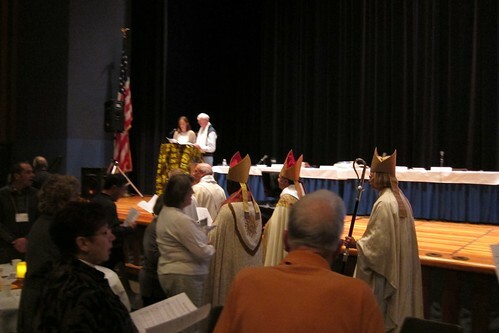 See my 2009 blog entry How to Run a Church Convention for details on what John and Stephenie were doing.